Quite some time ago, I posted the newly created Voyage of Fear - The Game here on Bzpower. 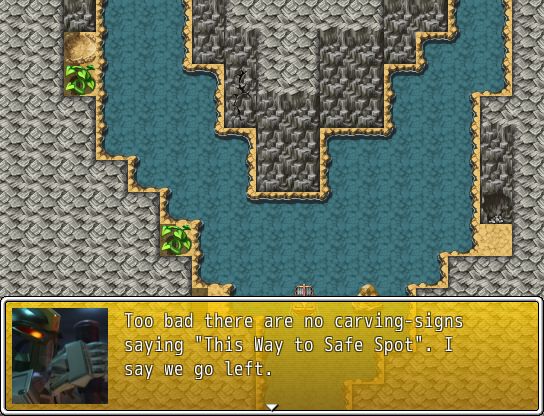 It was mostly complete, but still had many bugs and sloppy game design, as well as a critical glitch. Now, the game is back with improvements and bug fixes! 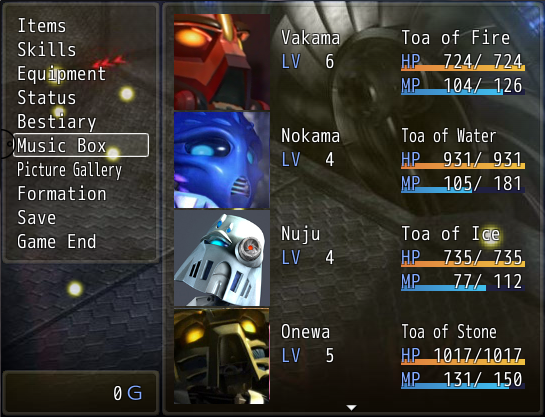 Changes to the original include having all six Toa in battle at the same time and improved battles in general, as well as many bugs fixed. 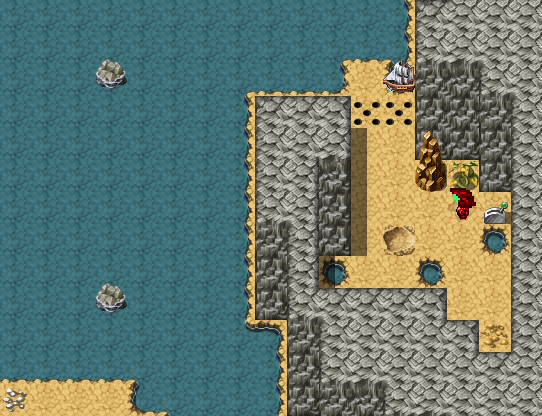 So the Voyage of Fear: The Game, is a fan-made game using the RPG Maker VX Ace engine. 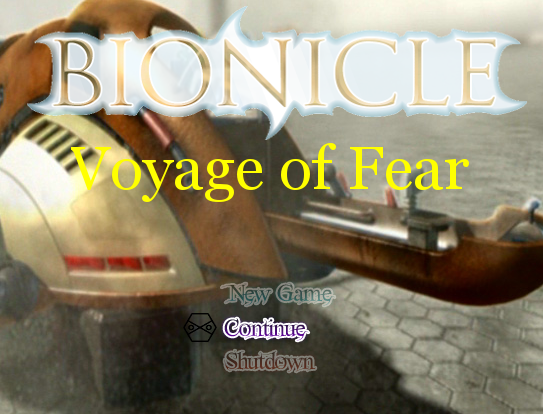 It follows the canon storyline of BIONICLE Adventures #5: Voyage of Fear, and remains very story accurate. You can see a playthrough of the game here. Of course, despite all the bug fixes, there are always things to improve with the game. Please let me know what you think of the game and any improvements you would like to see in the game. Edited by Toatapio Nuva, Apr 23 2017 - 06:44 AM. Update: I've updated the game slightly, and uploaded a playthrough video here. If you run into problems with progressing in the game, the video should help you out. 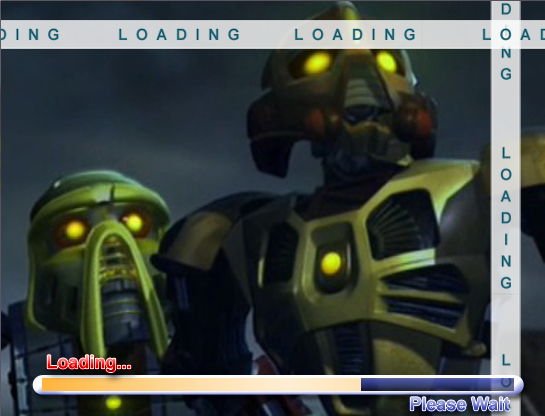 Since the idea of a Bionicle RPG intrigues me, I've just downloaded it and I'm going to see about playing this in whatever free time I might have. If I ever try to do any kind of let's play work, who knows, maybe I might see if I can give this game a try in the same vein as one of my favorite LPers who does games like this. Not sure if it's possible, but would there be a way to provide the controls to the game, either in a read me file or just in a post on here? I think I've figured out the controls for the most part, but only after I was pressing every key to see what they did if anything. Edited by ShadowBionics, Apr 19 2017 - 07:36 PM. No, I didn't see you playing with your dolls again! 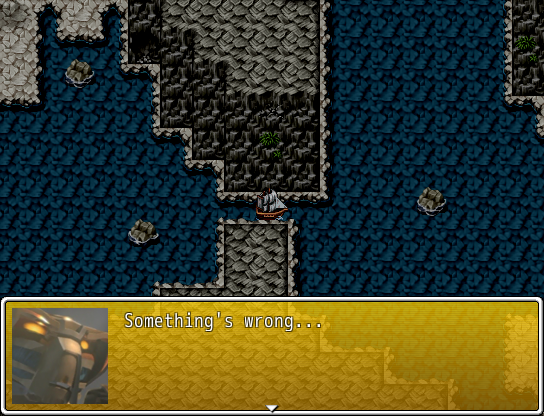 The game uses the arrow keys and space bar/enter, plus shift for running while out of the ship. For battles there are combos you can make using letters on the keyboard. Seeing a Let's Play of this would be interesting, so I'm all for it if you do. Edited by Toatapio Nuva, Apr 19 2017 - 11:38 PM. Whoa this is still around? I remember trying to make sprites for the ship thing a long time ago but they were really bad lol. I remember the struggle to get some sprites for the transport... unfortunately, it still uses the basic ship sprite to this day. Yeah, I didn't know the size of the spritesheet for RMVXA back then. I've used it quite a bit since then, and looking back on it I'm actually disappointed in myself. No need to be disappointed, it did work out pretty well in any case. 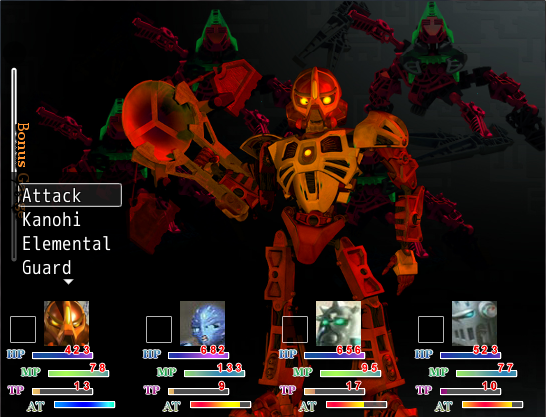 Oooo, a BIONICLE RPG. I'll have to play this sometime, glad to see another RPG, never got to play the original version. Thanks for posting an updated version of the old one.